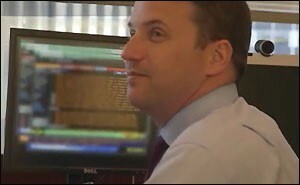 Troy Rohrbaugh, Head of Foreign Exchange Trading at JPMorgan Chase, Chairs the New York Fed’s Best Practices Group for Foreign Exchange Trading. JPMorgan Chase Just Pleaded Guilty to a Felony for Conspiring to Rig Foreign Exchange Trading. As the U.S. Department of Labor deliberates giving JPMorgan Chase a waiver to continue business as usual after it pleaded guilty to a felony charge for engaging in a multi-bank conspiracy to rig foreign currency trading, a letter the bank sent to its foreign currency customers should become Exhibit A in the deliberations. The letter effectively tells JPMorgan’s customers, here’s how we’re going to continue to rip your face off. Most of the general public believes that proprietary trading (trading for the house) was outlawed by the Volcker Rule under the Dodd-Frank financial reform legislation. Most of the public believes that trading ahead of your client’s order is called front-running and is illegal. On both points, the public is dead wrong. First, the Volcker Rule has yet to be implemented. Its effective date continues to be pushed forward. Secondly, foreign exchange spot trading between big banks and institutions (like the folks who manage your pension money) is an unregulated market left to the non-legally-binding “best practice” agreements by the biggest banks. As we reported on May 14, the Chair of the group drawing up these best practices is Troy Rohrbaugh, the head of Foreign Exchange trading at JPMorgan Chase since 2005 – including the periods for which the bank has been charged with felony conduct.